5 Reasons why you will love a winter trip to the Canary Islands - GoTimeshare! If you are living in Europe, then winter is closing in and for the majority of us that means things are starting to get a lot colder. This is especially true if you are from Northern European countries such as the U.K., Germany and those in Scandinavia. Temperatures have already started dropping and are set to get a lot colder, with warm summer days at the beach now seeming like a distant memory. According to studies carried out by a number of climate experts and universities, the Canary Islands have one of the best climates in the world. There is an average temperature of 19ºC in the winter, and 23ºC in the summer. Furthermore the climate is mild and comfortable all year round, like an eternal spring! You are almost guaranteed sunny, blue skies throughout the entire year, and if you are from UK where winter skies can be grey and miserable, you will know what a big difference the sun can make to your mood. In the main tourist resorts of the islands there are 4,800 daylight hours per year, meaning the Canary Islands have the most daylight hours of anywhere in Europe. Throughout the year there is very little rainfall, even in the winter. The climate and the weather is definitely one of the biggest reasons why you will love a winter trip to the Canary Islands! The revitalizing mental and physical health benefits of the wonderful climate in the Canary Islands have been known about since the time of the Greek empire. From the 17th Century onward expeditions led by explorers and naturalists, helped to contribute to the knowledge of the healing properties of visiting and living in the Canary Islands, and over time health tourism became popular. The air is clean, the climate mild, there is sun almost every single day, and you can swim in the sea almost all year round. All of these amazing factors contribute to a wonderful mood each day, as you wake and see the blue sky, gain vitamin D from the sun, and you can enjoy a far more active outdoor life. There are also distinct physical benefits too. With a more active, outdoor life possible you will feel fitter and healthier. The health benefits of life in the Canary Islands is one of the reason why many timeshare owners love to return every single winter to soak up the winter sun and escape from the cold and gloom of much of the rest of Europe. We are sure that once you have taken a trip to the Canary Islands in the winter you will be eager to return the following year! The major Canary Islands (Tenerife, Gran Canaria, Lanzarote and Fuerteventura) have daily direct flights to many major airports across Europe including most of the large airports in the UK. The flight time from most European airports is also only around four hours which is definitely worth it for some wonderful winter sun! The flights can also be incredibly cheap, if you use flight comparison websites such as Skyscanner. 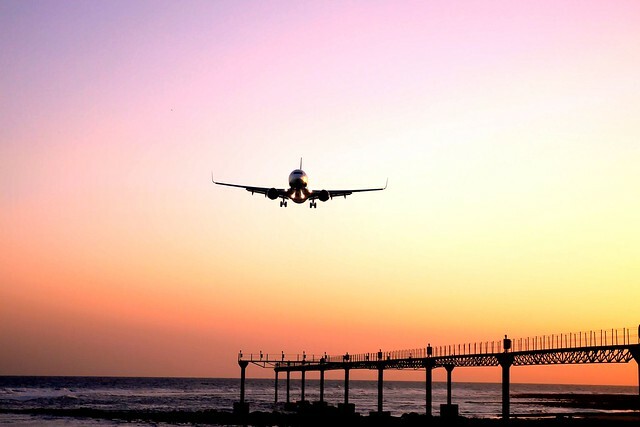 We have found return flights for cheaper prices than many train journeys within the UK! Because the Canary Islands are major tourist destinations they benefit significantly from a number of budget airlines such as Ryanair, Easyjet and Monarch competing with each other which keeps the cost of flights down. Other airlines have added routes to recently too such as Norwegian Air which even provides wi-fi onboard. The Canary Islands provide amazing value for money while you are staying there, with almost all products and services costing less than back home. If you want to explore the island you are staying on, then you should definitely consider renting a car as you can get some brilliant rental rates. Petrol is also cheaper and driving distances around the entire islands are much less. Buses and taxis are cheap, and walking and biking is also very convenient within the larger resorts. Considering the weather is still so wonderful in the winter, you will definitely want to get out and explore the island, rather than hibernating inside. Unlike many other major tourist destinations across Europe, eating and drinking out is much better value, even in the capital cities. You can go to almost any cafe and enjoy a cafe con leche (coffee with milk) for between one and 1.5 euros. A pint of beer or glass of wine is generally no more than two euros. You can enjoy a good quality meal out with a drink for 15 euros or less. Your money will stretch further and it is feasible to eat out a lot more, rather than just special occasions, leading to a much more enjoyable winter holiday! The Canary Islands are an incredible place to visit if you love beautiful beaches, wonderful volcanic/mountainous landscapes, stunning sunrises and sunsets, and always living close by to the beautiful blue Atlantic ocean. Along with the famous climate of the Canaries, the landscape and views are perfect for revitalizing, and if you want to you can really get away from all the stresses of modern life and totally disconnect. The Canary Islands are actually so much more than just sun, sand and sea, as you can go for amazing walks through their famous wine growing regions like La Geria in Lanzarote, stand on top of the cliffs looking out to neighboring islands, go for a swim in hidden natural swimming pools, or wander through stunning volcanic landscapes, which feel like being on a different planet. These islands have so many hidden surprises that even some of the locals don’t know about them, and there is so much for you to discover. The only question left to ask is, have you booked your flights yet? Your amazing timeshare holiday in the Canary Islands awaits! Please share this post on social media with friends and family considering a winter break in the Canary Islands. If you choose the Canary Islands this winter it will be one of the best holidays of your life. Make sure to tag us on your photos and videos on Twitter, Instagram and Facebook and we will share our favorites!